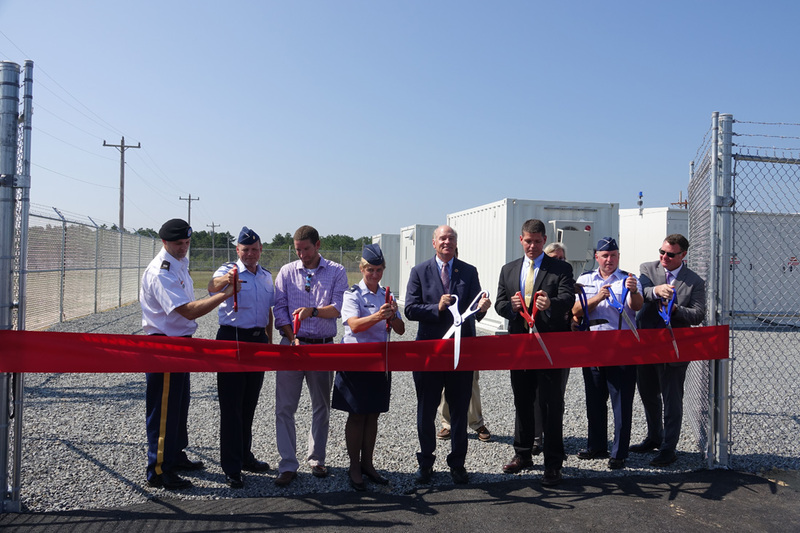 30 August 2018: The US Department of Defense unveiled an UltraBattery-backed microgrid at its Air National Guard base on Cape Cod in Massachusetts on August 29 in what will be the first independent, battery-backed microgrid to support 100% of the electricity needs of a US military facility while ‘islanded’, or cut off, from the national grid. In case of outages, which happen at Cape Cod once or twice a year, the Otis Microgrid will be able to respond within less then 60 milliseconds, according to project manager Shawn Doyle, VP operations and energy resilience, program management office director renewables with the DoD. Provided by East Penn-owned subsidiary Ecoult, the 1.6MW UltraBattery will store power generated by a 1.5MW wind turbine at the base in what could be a major step for Ecoult if the project is replicated in other DoD projects, or other federal facilities, which Doyle said was likely. “The UltraBattery has been deployed with solid performance and data back-up to prove that. It was specifically designed for frequency regulation and its chemistry allows it to be rapidly charged and discharged at four-second intervals. Doyle told BESB the Otis microgrid was at an intelligence wing on Cape Cod, which had around 30 buildings and some critical loads to do with cyber security that were mission critical and could not go down. “The threat to the electrical system is different now than in the past – now it’s cyber security that’s very important,” he said. Once the system is fully operational, by the end of October, it will be able to pay some of its costs back by selling excess power to the national grid. John Wood, Ecoult CEO, said the company was “gaining important and relevant experience in this project”. Private contractor Raytheon developed the microgrid control system and has overseen all of the cyber security, design, procurement and engineering. The Air National Guard will operate the microgrid itself.